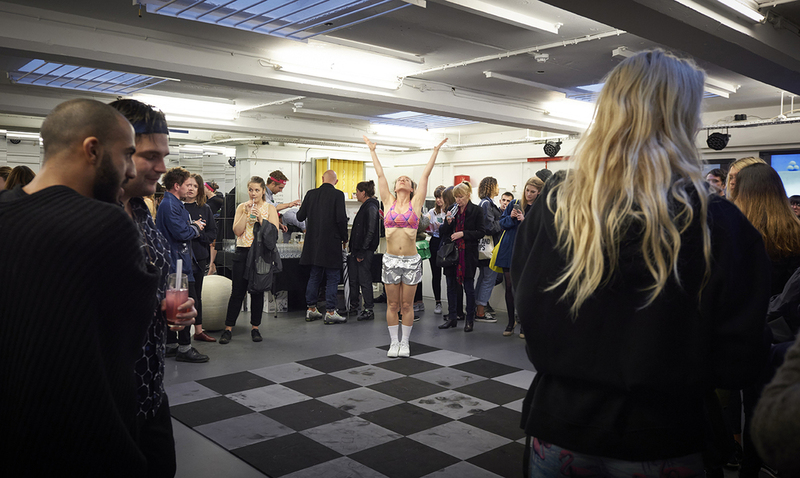 For their first collaboration, Wright & Vandame transformed the ICA Studio into an active gym/social space with 27 live events including numerous free exercise classes and participatory performance led by personal trainers and invited artists including Adham Faramawy, Karimah Ashadu, and Monster Chetwynd, as well as salon sessions with the British performance artist, Francesca Steele, the fig-2 curators, Fatos Ustek and Yves Blais, and a workshop with the Art Fund to explore alternative strategies for audience engagement. In this context, issues of gender, sexuality and body image emerged in the construction of the gym and our current attitudes towards beauty, identity, and the authenticity of images. 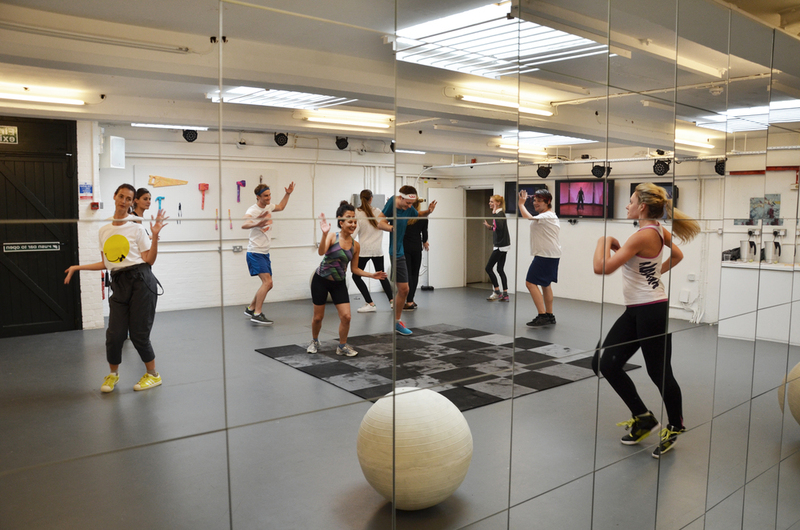 Within this participatory programme, the space functioned as an environmental installation featuring sculptural elements such as concrete casts of yoga balls, a mirrored wall, tools hand-stitched with Lycra, and a video triptych composed of 180 minutes of exercise videos from the late 1970s to 2015. 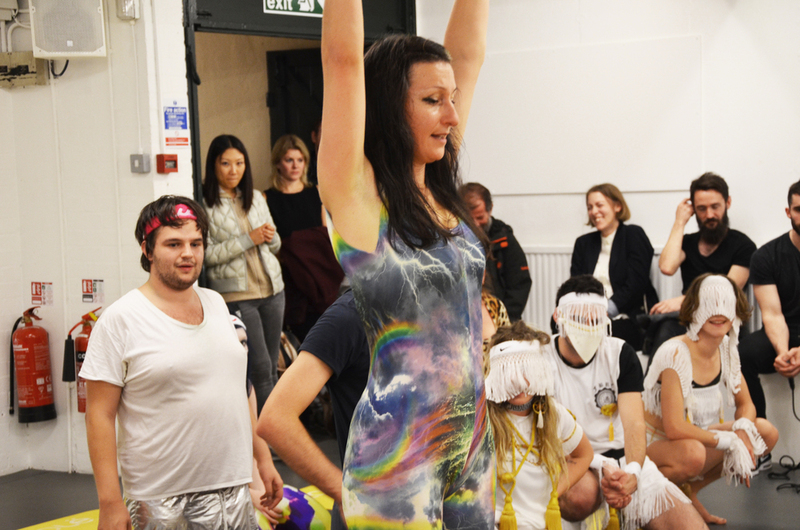 Challenging traditional definitions of performance art and exercise, Turner Prize-nominated artist Marvin Gaye Chetwynd lead an ‘Insanity Workout’, cutting-edge multimedia British-Egyptian artist Adham Faramawy lead a ‘Post-Rave Sweat Fatigue Workout’, and British-Nigerian multi-disciplinary artist Karimah Ashadu lead ‘An Everlasting Yoga’ class. Other classes that took place over the course of the week include a curatorial workshop, sunset meditation, and various forms of yoga and pilates. Exercise Trainers: Nicolette Wilson, Dalia Pozarauskaite, Marta Swiezynska, Toma Janulyte, Juliet Murrell, Celia Peachey, Angela Goodfellow and Chloe Wilkinson. Artists: Marvin Gaye Chetwynd, Adham Faramawy, Karimah Ashadu and Francesca Steele. With additional support from: Ethel MacPepple-Jaja, Oliver Hipwell, Alexander Grzegorz Gromadzki, Sylvain Deleu and the team at fig-2.